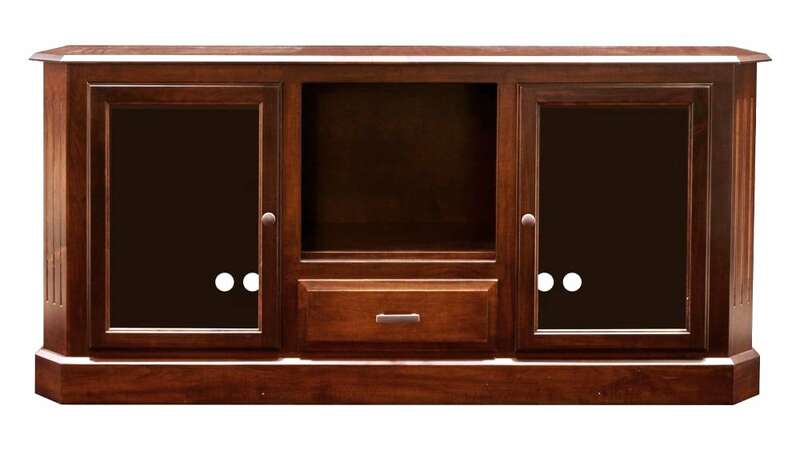 This lovely television console is part of the New Federalist Solid Wood Home Collection and will make your family movie nights even more enjoyable. 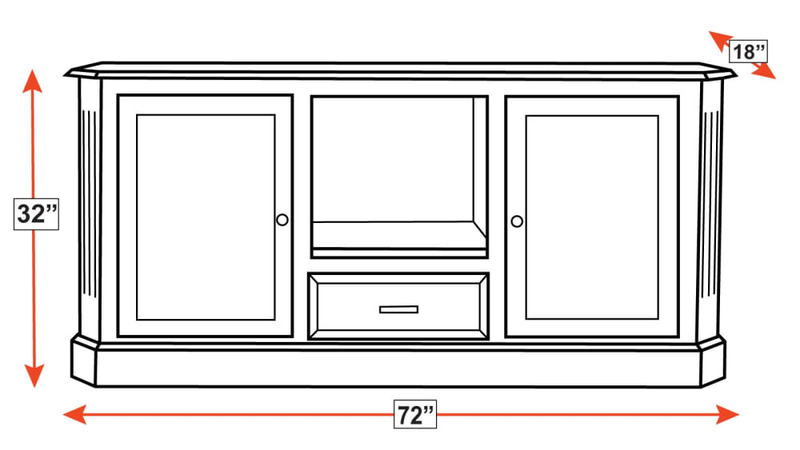 With spacious cabinets and one drawer for convenient storage, your living room will stay tidy and organized. The smooth maple wood is majestic and elegant with subtle carved details to add a pop of texture and flair. Simple cabinet handles complete this look which you can find TODAY at Gallery Furniture!